Wave interference pattern. Waves from two sources are interacting with each other. At the point where a wave peak from one hits a wave peak from another, or a trough hits a trough, they reinforce each other; their magnitudes are summed. This is known as constructive interference and is shown by the lightest and darkest patches. 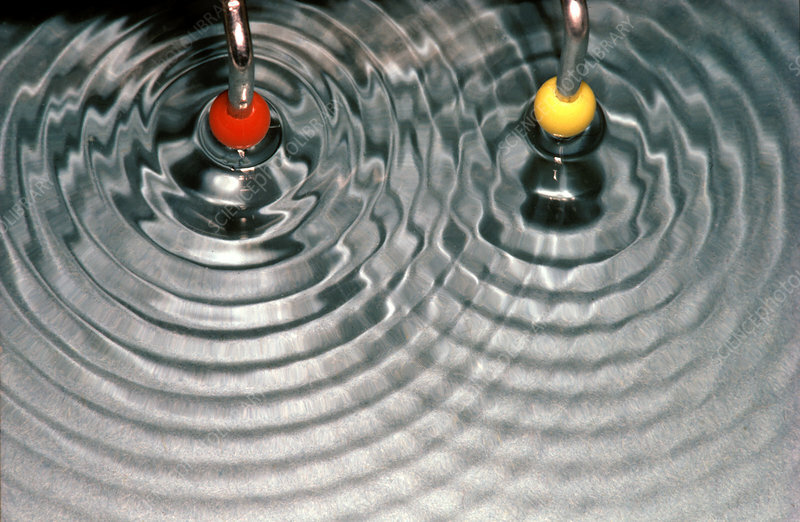 The red and yellow balls are points of destructive interference, where a trough hits a peak or vice versa and they cancel each other out.